A rotating hot air brush can give you the closest possible salon hair straightening styling at home. It is best used on 70-80% dry hair in order for the hair styling to last longer. It dries hair by blowing hot air, while a rotating barrel spins to straighten the hair while giving lots of volume and shine. With some practice, the hairstyling achieved this way may last for 2 up to 3 days, if you stay away from too much humidity. High quality rotating hot air brushes may pose a tough choice. 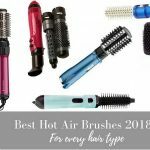 To help you decide on the specifications of the brand you must choose for your hair, here are the best and worst qualities of the various hot air brushes in the market, as seen by our close friend, Kathy, a professional hairstylist. My top three choices are highlighted below. 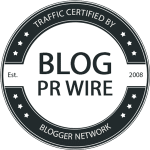 I’ve included a detailed discussion for each option in the article. What is a Hot Rotating Air Brush? What About For My Hair Type? The rotating hot air brush is very similar in looks to the regular hot air brush. It’s also a hair dryer and hair styling tool all-in-one, which makes it a very convenient product to have. Rather like a hot air brush, its barrel is round-shaped and it features a cord that plugs into an outlet. Most hot air brushes (rotating and non-rotating) have their controls on the handle area and these refer to temperature and speed setting. 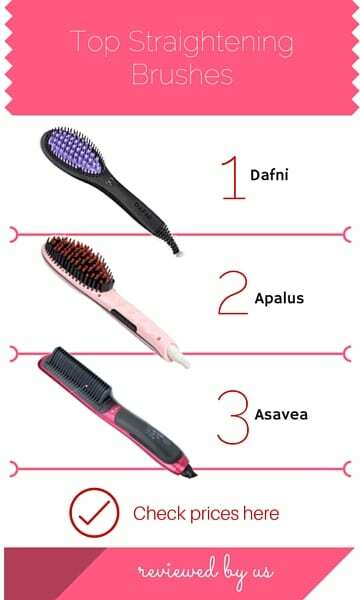 Different rotating hair brushes are made out of different materials. For example, some might have ceramic-coated bristles, which also heat up giving you more precision styling. Others have flexible nylon or similar material bristles that move as you style and this helps to eliminate snagging and pulling. These brushes also blow hot air through vented areas channeled on the barrel. It’s this air that enables you to dry and style at the same time. So far so good. There is one significant difference between the regular hot air brushes available on the market. These versions rotate. The rotating mechanism is there to give you plenty of curl movement and creates a natural looking curl. It’s multi-directional so this means that it blows hair dry while curling in two directions so you get maximum body and lift. Once you get used to using one, you’ll experience salon-styling in the comfort of your own home. The main problem I found when I started using a rotating hot air brush is getting used to how it works. It’s very natural to want to control the brush yourself but you need to surrender your natural instinct and let the brush work on its own. If you don’t, you risk pulling and tangling your hair. It’s an art that needs to be learned, so if you do buy one, don’t give up on the first go. It’s unlikely you’ll be able to use it successfully on your first attempt, but don’t give up because it really does work. If you can’t get used to how it works, most have a switch that turns off the rotating mechanism so you can still use it as a normal hot air brush. Some people just prefer to control the movement of a styling tool so this might not be for you if that sounds familiar! So let’s delve into a little more detail. 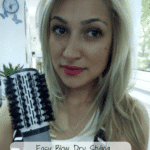 The hot rotating hair brush can be used on damp hair. It’s best to make sure most moisture is drawn out of the hair to get good results, otherwise it takes a very long time to dry off hair. I would suggest rough drying first or really squeezing out moisture with a towel. You can definitely use it on dry hair too, to pep up hair in-between styling or add curl and body. What you’ll love about this brush is you get incredible volume and shine. If used properly, you can even create a big, bouncy curly blow dry that lasts a good couple of days (dependent on humidity levels and also on your hair type). While on the subject of hair type, if your hair is short or fine, try and find one that is the right size for your hair. Too big and you won’t get your hair around it, so choose something slim rather than one of the larger barrels. I believe that these brushes are suitable for all hair types but do use heat protecting spray before using because it is still heat styling. A switch to turn the rotator off (useful if you decide you don’t like how it works). The right barrel size for your hair type and length. Dual voltage if you travel. So now you’ve have the basics of a hot rotating air brush, it’s worth understanding the differences between this heated hair tool and other similar varieties. Essentially the two are the same heated styling tool and both emit hot air like a hair dryer while styling. The only difference is the rotating hot air brush moves while it styles in one direction, and then another. Some hot air brushes can go one way and others can move two directions. That is the only difference between the two. These are entirely different heated styling tools. The rotating hot air brush blows hot air while it styles. Generally, the bristles don’t heat up although some do have this feature. The curling iron is a heated styling tool that heats up and can only be used on dry hair. You wrap hair around the plate and clamp it shut, waiting for a curl to set. There is far more heat applied to hair and curling irons are more damaging than rotating hot air brushes if not used with great care. There are some similarities in both as these products blow hot air and style. However, the main difference with a hair dryer is you don’t wind hair around it to dry and you need to use a second product to style your hair while drying it. 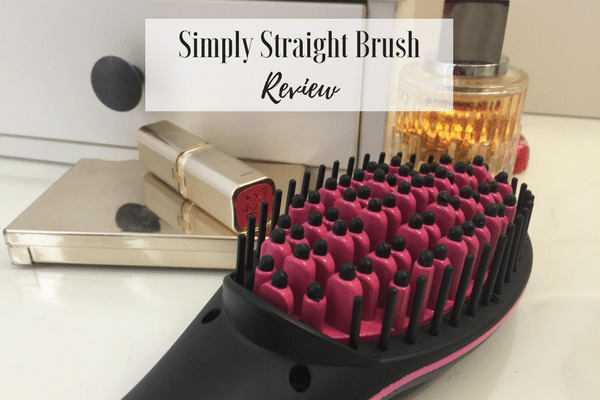 With a rotating hair brush, you don’t need to use a second styling product. Hair dryers don’t rotate either and you control the heat applied through a nozzle or a diffuser. To get curls while using a hair dryer, you must use a manual round brush or a diffuser. 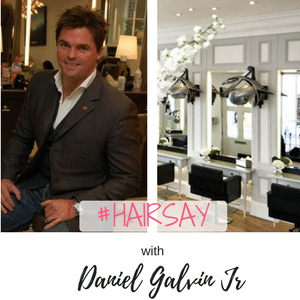 Babyliss is a professional brand specializing in high end styling tools for salon use. This model utilizes an ionic technology which eliminates a lot of frizz, anti-static bristles to prevent hair tangling, three temperature settings for better customization. The rotating 2-inch barrel adds hair volume and shine and the infrared heat penetrates the hair, allowing for a quick blow dry and fast and long lasting styling . Also, its grip makes it easier to handle and manage. Its metal barrel, with titanium has the unique property of holding heat, almost like a curling iron. 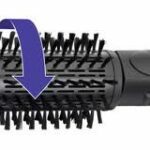 Some customers state that the bristles ensure a better grip vs the Conair rotating brush model. I would say, superior materials go into making the Babyliss rotating hot air brush which leads to high quality results. The Conair rotating hot air brush dries the hair safely and provides more ions for shinier and smoother hair. Its spinning rotation is multi-directional but can still work equally great even without spinning it. For flexible hairstyling, this product comes with 3 heat settings: 2 hot and 1 cool and 2 speed settings. If you have thin, easy to style hair, the first heat setting should be enough to blow dry, while adding volume, lift and shine. If you keep the brush in place for a few seconds with each strand of hair and then slowly release while rotating the barrel in a vertical circular motion, without pulling the brush through, you get full voluminous curls. The cool setting is used just to fixate each curl or the root volume, the brush does not rotate in either direction in this setting. 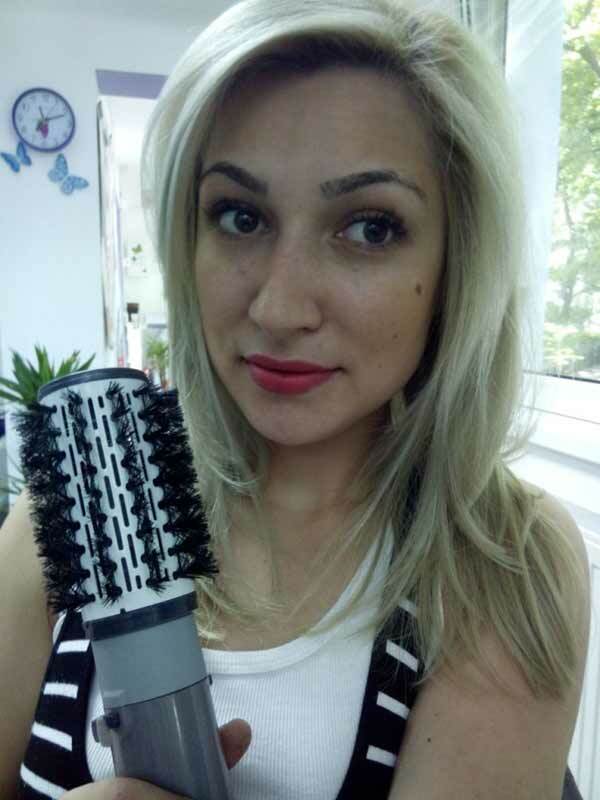 This rotating hot air brush comes in two barrel size versions: if you have medium to long hair, make sure you choose the 2 inch barrel, while for shorter hair, the 1 1/2 inch is enough. Although a late comer on the market, the Revlon rotating hot air brush was a pleasant surprise, not only is it more economical than both the Infinity Pro and the Babyliss rotating hot air brush, but it also has a lot of value added cool features. I’m going to start with the wattage: 900 watts compared to 750 watts for Conair and 500 watts for Babyliss. This gives a lot of blow drying power and heat to this baby, resulting in faster dry time and longer lasting styling results. 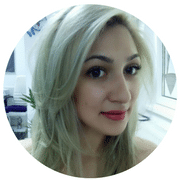 Since the hair is completely dried in a shorter amount of time, it’s like having your personal salon blow dry appointment, where the stylist is able to reach, dry and style all the strands of hair, even the difficult ones at the back of your head. The material used, tourmaline, is a mineral with a high output of ions, guaranteeing extremely sleek, shiny and frizz free results. Always use a set of hair clips to section each strand of hair. I find that for my medium length, frizzy hair, usually 4-5 clips are enough. With a 1 inch barrel, this is suitable for use on short or medium length hair and you will achieve great looking bouncy curls with shine and smoothness. Dual heat settings gives you flexibility and gets rid of tangles during styling. The locking barrel makes it much easier to curl hair. The bristles are flexible, so they don’t snag or pull and with two heat settings, you can choose how you apply heat to your hair. A long power cord gives you plenty of movement while styling. The soft-grip handle means it’s very comfortable to use. This is great for people who don’t want to use heated styling tools such as curling wands or irons as it’s far gentler on hair. 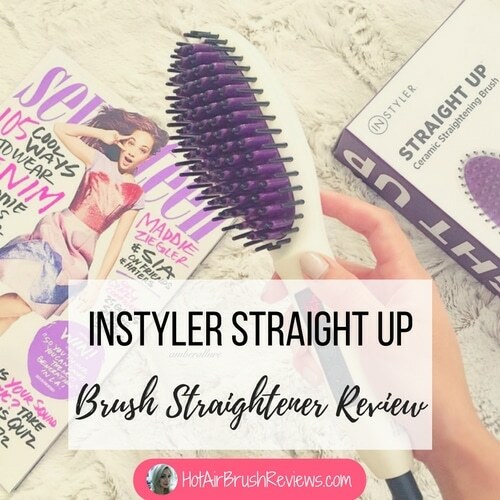 This brush is made with ionic technology so it gets rid of unwanted frizz and flyaway hair, producing smooth, bouncy curls without the damage of curling irons or wands. It has two heat settings and an additional cool setting that is a good finish for hair. The long swivel cord enables easy styling all around the head. 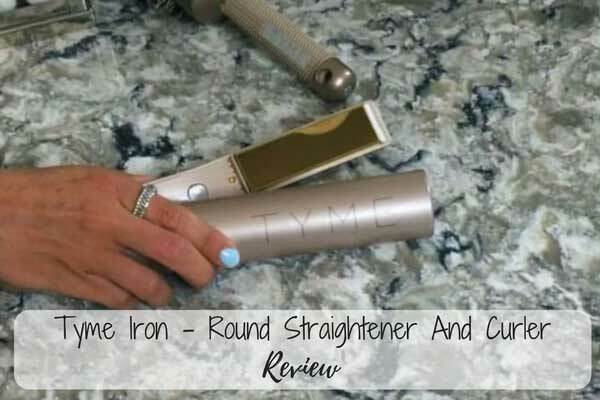 It is slower than a regular hair dryer, so it’s best to use on almost dry or dry hair (or blow dry fast), but it’s a good product for thicker or longer hair as it has a 1.5 inch barrel.